If your environment isn’t quite ready or you’re limited by industry regulations, hybrid integration is an easy-to-implement interim move that yields big results. 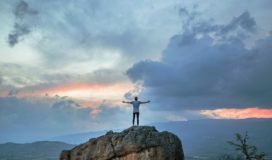 Migrating from an on-premises to cloud integration environment might be the next logical step for your organization, but it could feel like a gigantic leap. If your environment isn’t quite ready or you’re limited by industry regulations, hybrid integration is an easy-to-implement interim move that yields big results. Take, for example, this complex web of on-premises and cloud applications – simplified with a connection to Azure Service Bus. 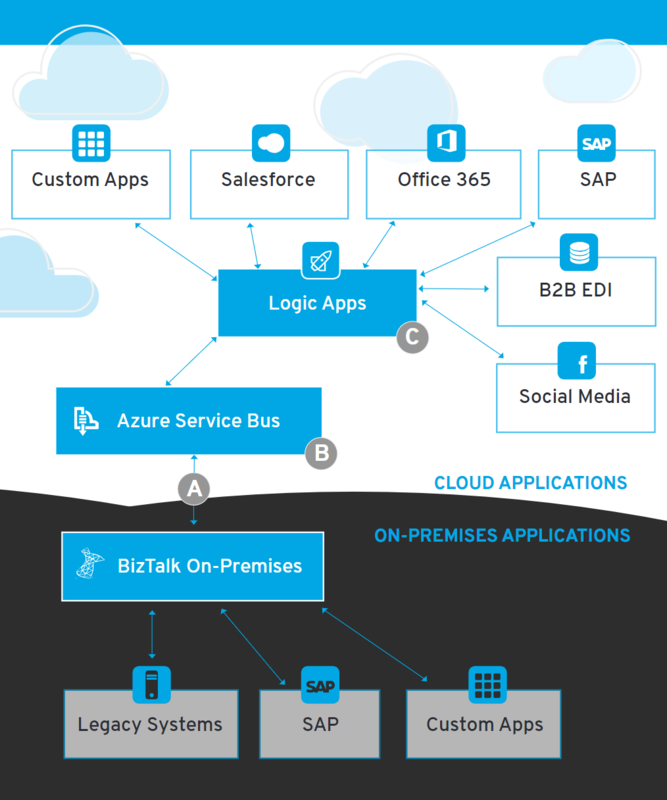 A single connection between BizTalk on-premises and Azure Service Bus delivers business agility: increasing time to market, simplifying application upgrades, and eliminating time-consuming custom code. Acting as the cloud middleware, Azure Service Bus makes it easy to migrate to BizTalk 2016 in the cloud when you’re ready. With dozens of pre-built connectors for social media and enterprise applications, Azure Logic Apps make automating complex processes (for example monitoring tweets about a certain topic, analyzing the sentiment, and creating alerts and tasks for follow-up) a breeze.